Successfully Added Shirt Clip MP3 Player - 2GB to your Shopping Cart. 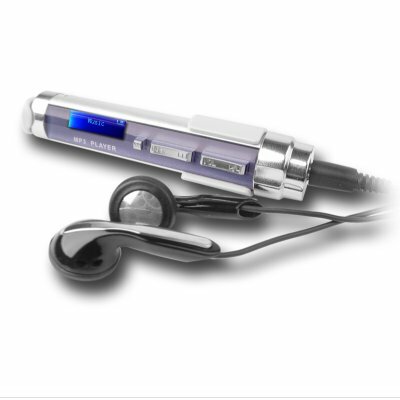 MP3 and WMA Player with 2GB of internal flash memory and a included useful shirt clip so you can carry the MP3 around on your shirt or in your pocket without ever having to worry about losing it. The short and cylindrical shape is perfect is you are interesting in a look different from the normal boxy look, and with a small dot matrix screen, GUI interface is a snap. Perfect for people on the go, students needing to record their professors, and every fan of digital music.